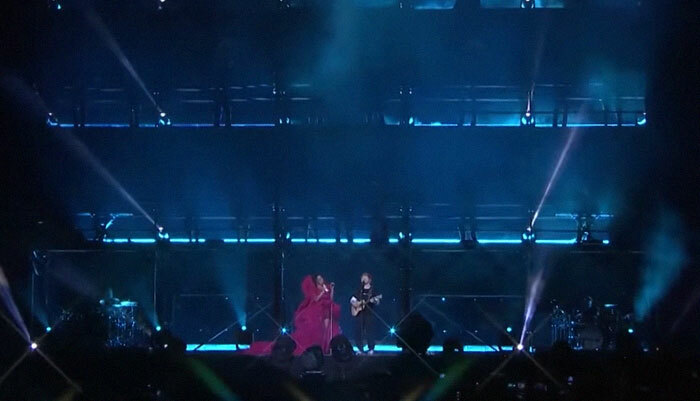 Beyonce has gone viral again but this time the focus is on duet partner singer Ed Sheeran. 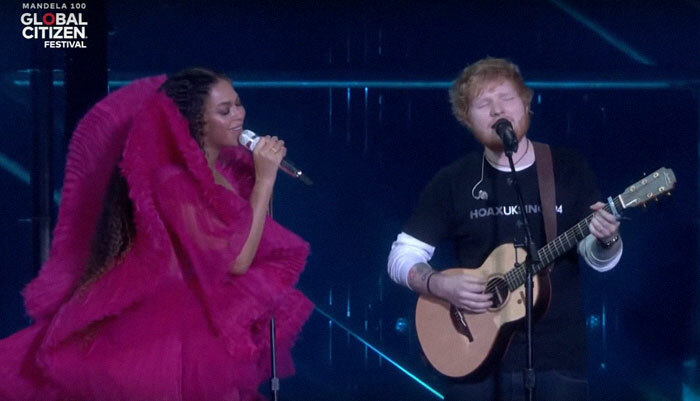 The pair took the stage at the Global Citizen Festival: Mandella 100 in South Africa to sing their collaborative rendition of “Perfect,” and Beyonce fans felt that more than his notes were off. Well I think her dress looks stupid, where does that leave her now? Unpopular opinion allert. I think her outfit is nice. 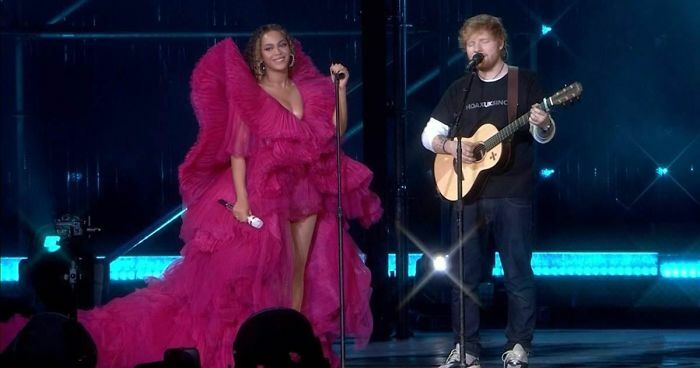 The world would be such a dull and boring place if even the artists on stage all dressed as casual passer-bys. Why is the dress even relevant if it's about the music? I like his clothes a lot more then that weird concoction that she has on, but they can both dress however the hell they like. 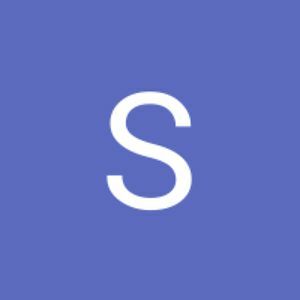 Why is anyone bothered by this? The nerve. Well, he'd look pretty weird in a giant fuchsia feather dress. Whatever it takes to feel comfortable on stage in front of 100's of millions of people. 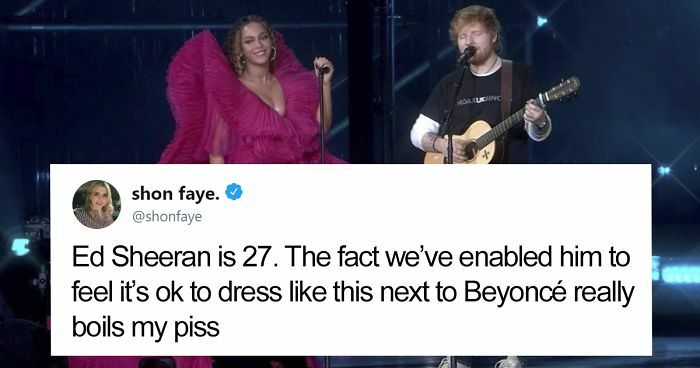 What on earth could Ed Sheeran have worn that could have competed with Beyonce's frock? Does anyone want to see him in an Elvis style rhinestone jumpsuit?? No thanks. We love them both just the way they are.